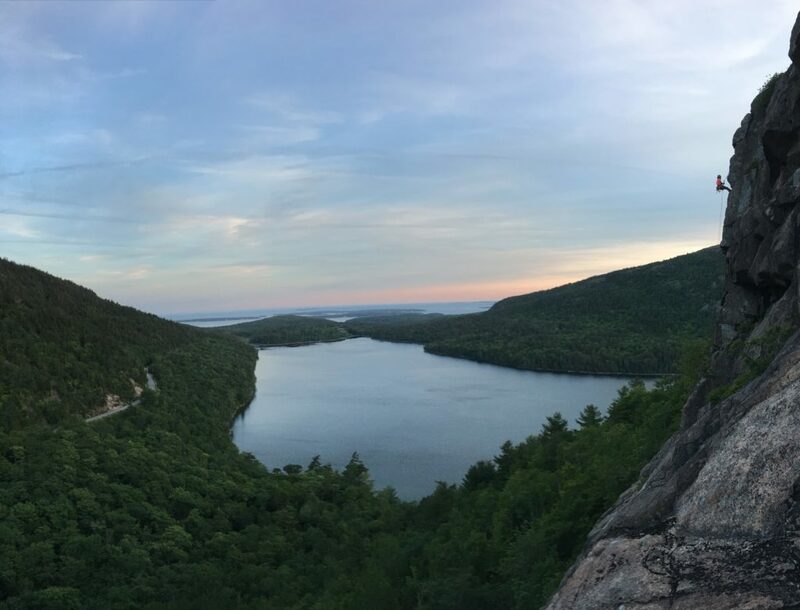 Make the most of your time in Acadia National Park. Anyone can climb! Any age and any ability. Grab an early breakfast and be back for lunch or take your time in the morning and get excited as the afternoon approaches! Either session is a memorable experience. Get the most out of your climbing experience! Bring a lunch and your guide will bring you to one of our famous locations for a full day of climbing. See Acadia during the golden hour in a shortened 3 hour session. Available during the peak summer months (July and August) when there’s daylight well into the evening! Special prices for family sessions. Enjoy a half day session fit into your vacation schedule or get more out of your climbing adventure and climb with us for a full day! Why choose Acadia Mountain Guides Climbing School during your time in Acadia National Park? We are a dually accredited climbing school, by the Professional Climbing Instructor Association and the American Mountain Guides Association. That means our guides are highly trained and certified to bring you into the cliff side environment. Acadia Mountain Guides Climbing School also highly values improving their guides’ skills, which means you get a guide who is taking advantage of every opportunity to improve their ability to bring you an unforgettable experience. Not only are we highly trained, we’re also fun to be around! Whether you’re a family or a full time crusher, we can have blast getting your six year old to the top of her first climb or get stoked getting you on your first outdoor 5.10! Let us craft an experience that caters to you. 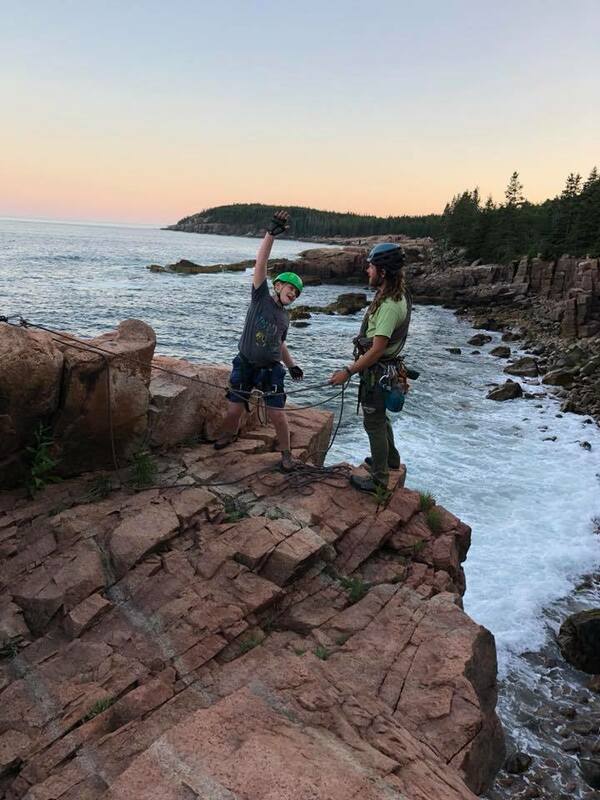 We booked a climb in Acadia for our family including our five year old. Copp was our guide and was super friendly. It was our first time climbing outside as opposed to climbing walls. He did a great job teaching us all the basics and we did 5 climbs by the time we were finished. We did most of the climbs near Thunder hole. When we come back we’ll book another climb with AMG! We had an incredible morning out on the cliffs with Nick. Our three kids; ages 3, 10 and 12 got a chance to climb, scramble and conquer the rocks. Nick was particularly amazing with our three year old who had never climbed more than the monkey bars before. He not only got her to the top of the cliff, he then gave her a "ride" down. What a day to remember at Acadia. 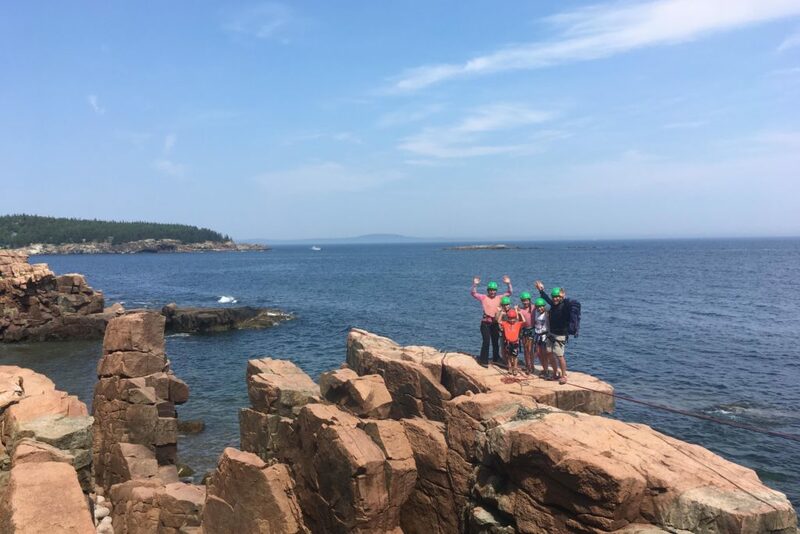 Thanks Acadia Mountain Guides, the kids will never forget this family fun. Once again our guide Copp showed us an amazing time. This is our 4th trip with AMG and as always it was SPECTACULAR! No matter your skill level our guide, Copp, always makes sure the experience is STELLAR! If you plan a trip with AMG make sure to request Copp as your guide, you will not be disappointed! 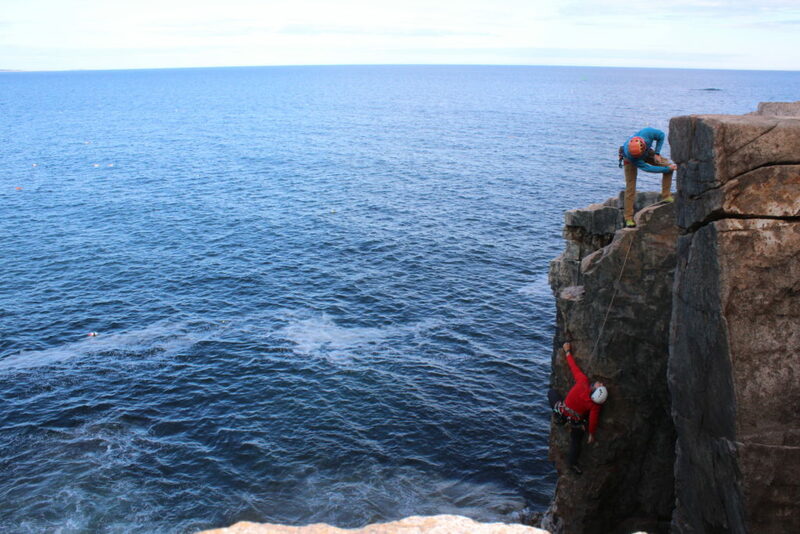 THANKS AGAIN COPP FOR ANOTHER UNFORGETTABLE CLIMBING EXPERIENCE IN ACADIA, YOU ROCK!